All companies have something that distinguishes them and makes them unique and incomparable, differentiating them from the rest in their sector. 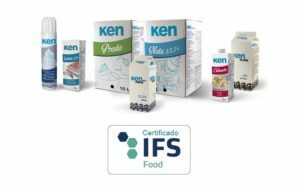 For Ken-Foods that something is, without doubt, quality, which is endorsed by the IFS Food certification. Quality has always been the main concern and objective for Ken-Foods. That is why for many years our company has held the IFS Food certificate, which is only given to those companies that have certified and validated the production, handling and transport processes for their products. IFS Food is a food safety standard that is acknowledged by the Global Food Safety Initiative (GFSI) with the aim of auditing food processing companies and companies that pack loose food products. It mainly focusses on food safety and quality of the processed products. The IFS Food certificate is the best hallmark of quality of those that Ken-Foods holds in both the domestic and international markets. 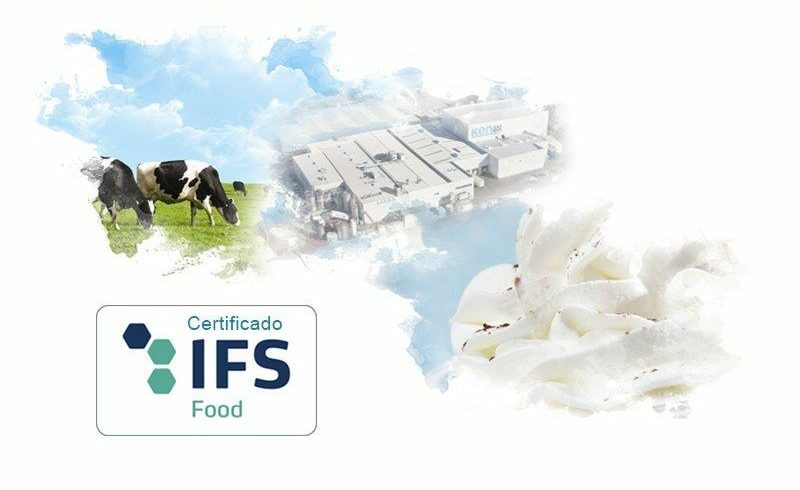 Ken-Foods has the IFS Food 6.1 Standard accrediting that our company carries out the production, packing and processing of products such as cream and dairy products following the main food safety standards established for the domestic and international markets. From the beginning, Ken-Foods has always prioritised special attention to R&D, design, creation and food safety and quality guarantees in the creation of all its products, making sure that each and every one is produced not just with care and dedication, but fully respecting current domestic and international legislation and guaranteeing the highest standard for food quality as its IFS Food certification proves. This makes Ken-Foods an excellent global supplier of reference for all industries related with HORECA, Bakery, Ice cream and Industry. As well as the IFS Food system that guarantees those organisations creating high quality products, Ken-Foods has also implemented a “Risk Analysis, Risk Analysis Monitoring and Critical Points Monitoring System”. These three mechanisms mean that the quality of Ken-Foods products and their safety for human consumption are never in doubt and they have reached levels of excellence that very few other companies in the dairy sector can reach.